In his role as chief technology officer (CTO), Shen Tham (pictured) leads REA Group Asia’s IT strategy, operations and product delivery. He joined the team in 2014 to lead technology in the international line of business and has been involved in expansion work across Asia, India and North America. 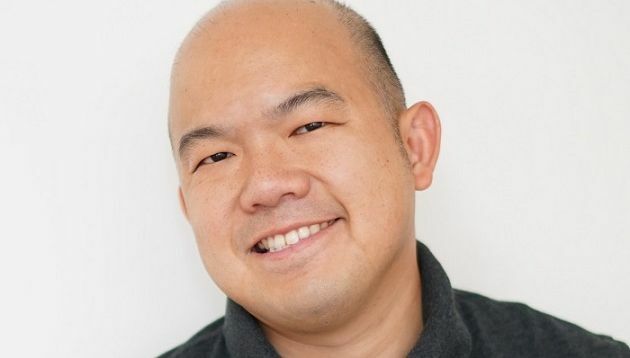 In this edition of Tech in check, Tham shares with A+M the challenges in convincing others to accept digitalisation and why he wants his team to fail fast. Tham: I hopped onto a plane about 20 years ago and walked into one of Malaysia’s largest banks, where it was going through its early days of integration with the local stock exchange and digitalising the business. I was in a consulting role and was there to help with the integration work. I was green, and it was quite an eye opener, taking away two powerful lessons that shaped a lot of my thinking. It was a very challenging environment where you have people in their glass towers, looking down on people, making decisions that hurt without understanding what is happening on the floor. It struck me very quickly that no matter where you are in your career, you can’t let success or titles hamper the way you see people as people and what they could offer. It’s important to keep your feet on the ground and stay rooted to what matters most. People were very resistant to change and preferred the manual process that was already in place. The tough work was not the actual technology integration – that was the easy part. The challenge was in bringing people on the journey with you, giving them a purpose, and inspiring the changes and disruptions that follow. Tham: In the early days, I worked on a large enterprise program and the re-platforming of technology stacks and applications. The notion of being enterprise-grade clouded the program management and the team to some extent, and drove the mentality for “perfection” in building a legendary product. Worse of all, it fostered a fear of failure. As a result, it took us a long time to get anything out the door and we ended up with a lot of red tape for approval. We were gold-plating and creating a lot of over-engineering waste. The irony was that when we ultimately got the application rolled out, we still ended up getting it wrong and had to go back to drawing board for a few more iterations. Tham: Unfortunately, we only started the process of improving after the first release. Once we took a step back and looked at the whole picture, it became obvious that a functional work flow was just not there. Realigning the team’s principles, reducing waste and creating values through the work system became the core focus. What I had learnt and applied then still follows me until this day. In technology, it’s hard to get it right on first try. A plan is good, but that will change as the business grows and what matters is adapting to those changes. My mindset is quite different now – a shift from ‘We can’t fail’ to ‘I want you to fail’. Now I want my team to fail fast and to learn from it. We build, we measure, and we learn, taking bold moves along the way. We subscribe to the same principle at REA Group. For example, we do short frequent releases and showcases. This has allowed us to get users’ feedback early on so we can continue to improve our product. We also focus on reducing waste and increasing flow in the system of work. This includes ensuring people share the same purpose, not wasting time on excessive emails or meetings to expedite delivery. The list goes on. A+M: What are some of the common challenges you face in digital today? Tham: Technology is always changing, and we have a backdrop of technology tsunami and digital evolution. Today we have different ways of interacting with people. We are on multiple screens, both augmented and virtual reality, different interfaces, internet of things and automation. Tools and processes are spawning everywhere. However, the thing that underpins this is people. As simple as it sounds, I strongly believe – both personally and at work – that without the right people, you will not grow sustainably. Period. Finding the right people and growth relies on all of your team turning up. This doesn’t just mean being physically present; they must be there with the right mindset. We inspire with purpose, so our teams turn up to work each day and charge towards the same goal. We have a single purpose at REA Group, to change the way the world experiences property. We also ensure that we connect with each other at work through the same six core values. We hire according to the values “Do it with heart”, “Do it as one team”, and “Inspire it”; we grow together with culture driven by the values “Keep it real”, “Own it” and “Reimagine it”. Tham: I believe AI is overhyped in many ways, but I am convinced and excited about its potential and recent developments, even after factoring in all the hype. The real excitement to me is in its real-world applications to come, and it is going to be game-changing. AI has been around for a long time. Fun fact – I have a research background in AI and it used to not be “cool”. The very mention of AI was a great way to end a conversation quickly. Today, every tech leader or business wants a piece of it and I see a lot of players out there claiming all sorts of AI capabilities in their products. But what makes it really exciting now is the low barrier of entry, access to large-scale computing power, AI platforms and ease of data consolidation. We at REA Group are interested in applying AI into the property space and exploring how we can improve the way people experience property and their access to data. Internally, we have applied machine learning ranging from automation of legal work to driving quality content with our customer experience team. Over the years, we have done a lot of work in data engineering and consolidation across APAC, working with local authorities, striving to create trusted content and insights, and ultimately better access to property-related data. A+M: Any top tips for marketeers and brands embracing digital? Tham: Believe in the people you work with, listen to them, learn from them, and give them a reason to believe in you. Everyone has a voice at the table and it’s not about seniority. Invest ahead and focus on the core capital – people. Hire people who are vastly qualified and ready for each rapid wave of change. Technology will always change. The best hire is not about having a specific skill in tech; it is about being able to adapt, being resilient and being a quick learner. Find these people. Hire and connect with them through values and instil in them a sense of purpose. Having people turn up each day with a winning mindset and seeking continuous improvement will greatly accelerate the digital agenda.